Suicide is the intentional act of killing oneself. Suicidal thoughts are common in people with depression, schizophrenia, alcohol/substance abuse and personality disorders (antisocial, borderline, and paranoid). Physical illness (chronic illness such as HIV, AIDS, recent surgery, pain) and environmental factors (unemployment, family history of depression, isolation, recent loss) can play a role in the suicide behavior. 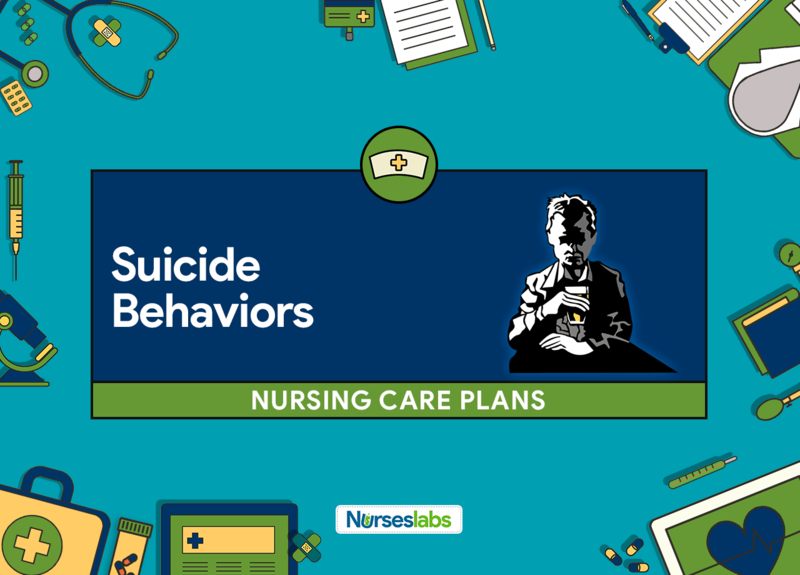 The nursing care plan for suicidal patients involves providing a safe environment, initiating a no-suicide contract, creating a support system and ensuring close supervision. Hopelessness: Subjective state in which an individual sees limited or no alternatives or personal choices available and is unable to mobilize energy on his/her own behalf. Failing or deteriorating physiologic conditions (Cancer, AIDS). Lost belief in transcendent values/God. Loss of significant support systems. Perceiving the future as bleak and wasted. Severe stressful events (financial reversals, relationship turmoil, loss of job). Lack of involvement in care. Patient will express the will to live. Patient will have an expression of positive future orientation. Patient will have an expression of meaning in life. Patient will make two decisions related to his/her care. Patient will identify three things that he/she is doing right. Patient will reframe two problem areas in his/her life that encourage problem-solving alternative solutions. Patient will identify two alternatives for one life problem area. Patient will name one community resource (support group, counseling, social service, family counseling) that he/she has attented at least twice. Patient will state three optimistic expectations for the future. Patient will describe and plan for at least two future-oriented goals. Patient will demonstrate two new problem-solving skills that client finds effective in making life decisions. Patient will demonstrate reframing skills when viewing aspects of client’s life that appear all negative. Encourage clients to look into their negative thinking, and reframe negative thinking into neutral objective thinking. Cognitive reframing helps people look at situations in ways that allow for alternative approaches. Work with client to identify areas of strengths. When people are feeling overwhelmed, they no longer view their lives or behavior objectively. Point out unrealistic and perfectionistic thinking. Constructive interpretations of events and behavior open up more realistic and satisfying option for the future. Identify things that have given meaning and joy to life in the past. Discuss how these things can be reincorporated into their present lifestyle (e.g., religious or spiritual beliefs, group activities, creative endeavors). Reawakens in client abilities and experiences that tapped areas of strength and creativity. Creative activities give people intrinsic pleasure and joy, and a great deal of life satisfaction. Spend time discussing client’s dreams and wishes for the future. Identify short-term goals they can set for the future. Renewing realistic dreams and hopes can give promise to the future and meaning to life. Encourage contact with religious or spiritual persons or groups that have supplied comfort and support in client’s past. During times of hopelessness people might feel abandoned and too paralyzed to reach out to caring people or groups. Teach client steps in the problem-solving process. Stress that it is not so much people are ineffective, but rather it is often the coping strategies they are using that are not effective.